If you have a dental emergency, contact a local Santa Clarita emergency dentist today to provide you with the care you need. It is important for you to receive immediate care for any tooth pain you may have. A delay in care can cause the condition to get worse and the problem may spread to other areas in your mouth. Below, you will be able to quickly locate Santa Clarita emergency dentists who can help you with your dental condition. You can also call our 100% free hotline and allow our staff to help find the perfect dentist for you! Emergency Dentists USA has a 1-800 number that is great to have on your phone in case of an unforeseen dental emergency. They make the process simple, with one call you can find a dentist near you that can get you in and out of pain quickly! 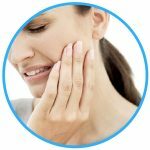 Dental pain does not go away on its own! Unfortunately, if your local dentist’s office is closed, you may have to suffer through the weekend until you are able to get an appointment. But, Santa Clarita does have some options available to you, so you do not have to wait forever to get an appointment with a dentist. After hours facilities are available and they are ideal for patients who have a mild to moderate dental emergency. These offices tend to stay open later into the evening to give everyone a chance to get the care they need. In Santa Clarita, after hours’ dental offices are open until 7:00 pm and some even on the weekends. Emergency Dentists USA has done the hard work for you and has prepared a list of Santa Clarita emergency dentists that can help you when you are in pain. All you have to do is call one of the offices below and schedule an appointment to receive care. Description: Your visit to Santa Clarita doesn’t have to be ruined with the sudden dental pain! Call our simple to use hotline today, and get the hookup to a professional who can help you quickly. Description: Whether it’s an emergency extraction or x-ray diagnostic that needs to be performed, this clinic will be here to help you with same day services. Known for their standout service in the realm of emergency care, you will be in good hands from the second you walk in the door! Description: This clinic offers its patients regular Saturday hours which may be exactly what you need given that so many dental ER cases unfold over the weekend. They have many qualified dentists and their dental team is second to none. Among their services are routine general dentistry procedures, X-rays, dental restorations, ER tooth extractions and treatments, root canals, and many more services. Description: With Saturday appointments, you will feel more secure if you or a close family member requires urgent dental care. The office is considered a “green” office so everything you come into contact with is natural and safe. If you want a dentist who pays attention to your personal dental needs, you will want to investigate this clinic more closely because invariably you will want to have a reliable backup dentist. Description: Dr. Castillo is committed to providing her patients with the best dental services in a comfortable office equipped with the latest technology. This office specializes in crowns, bridges, tooth-colored restorations, root canals, and more. They will do their best to get you into the office within 24 hours – just give them a call! When you arrive at the office, you should arrive 10 to 15 minutes prior to your appointment time should this be your first time visiting the emergency dentist. You will need to fill out some paperwork that will ask you some basic questions about your medical and dental health. Prior to arriving at the office, you should find out how much the appointment will cost you and the accepted payment methods. Some dental providers do not accept checks, so it is important to know what to expect prior to arriving. You should also inform the office if you have dental insurance, so they can properly bill the provider. Lastly, it is important to alert the dentist if you have allergies to medications, especially if you are having a procedure performed. For example, Penicillin is a commonly prescribed medication for infections, but if you are allergic to it, you do not want to have it prescribed. While some dental emergencies happen quickly, such as a knocked-out tooth, others take longer to form such as severe tooth decay. The symptoms can remain dormant for a while and then suddenly appear, which may lead you to believe the problem just happened. No matter the emergency you have, you need to be seen by a trained Santa Clarita dental professional to ensure the pain stops and the procedure you need is performed. Emergency toothaches are typically caused by severe tooth decay, but can occur from an injury or trauma to the tooth or from an object becoming stuck in between two teeth. If you have a toothache, you should rinse your mouth out with warm water and then take an over-the-counter pain reliever such as Tylenol or Aleve. You can apply a cold compress to your cheek where the pain is for up to 10 minutes to reduce swelling. If you have broken your tooth, you may be experiencing some pain and can take an over-the-counter pain reliever for it. The first thing you should do is recover any pieces of the tooth that you can and then rinse your mouth out with warm water. If bleeding has occurred, you should bite down on a piece of moist gauze to apply pressure to the area. If swelling is present, do place a cold compress on your cheek to help reduce it. If your tooth is broken, you should call your local Santa Clarita emergency dentist immediately to receive the proper dental care. Tooth trauma can be caused by any type of accident from a car crash to a baseball hitting your front tooth. No matter what caused the tooth trauma, it is important for you to care for yourself and seek out emergency dental care when you need it. If you have broken, knocked out, or chipped your tooth, you should recover the tooth or pieces and then rinse your mouth out with warm water. If the site of the trauma is bleeding, bite down on a piece of moist gauze to stop the bleeding. An emergency tooth extraction may be a possibility when you head into your local emergency dentist’s office in Santa Clarita. Typically, your dentist will attempt to save your tooth through other means first, such as a dental crown or filling. 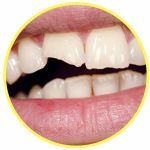 When these options will not work or the tooth’s structure is compromised, an extraction will need to take place. If you have been told that you need to have a tooth extraction done, it is important that you do. The longer you wait to receive the care you need, the worse the problem will become. Many patients often think that they need to go to the emergency room because they have tooth pain. This is not the best place for them because the ER doctors are NOT able to perform dental procedures. In fact, the only thing that ER doctors can do is look at the tooth to ensure the condition is not serious and possibly prescribe pain relievers, should they deem it necessary. There are times when it does make sense for you to head to the ER and those times include when you have broken your jaw, fallen and hit your head, or suffered trauma. Otherwise, you would be better served at an emergency dental office in Santa Clarita if you have a dental emergency. This is because the dentist is trained to recognize and handle the emergency to ensure your overall oral health. You will not have to wait to receive the procedure either. Tooth pain is one of the worst pains that you can experience because it will not go away until you have the proper procedure performed. Dental problems that do not get handled in a timely manner will eventually get worse and may spread to other areas within your mouth or other teeth, causing permanent damage to them. If you have a dental emergency and you are unable to get ahold of a dentist, you should call 911 or visit your local Santa Clarita emergency room. While the ER will not be able to provide you with the dental procedure you need, they will be able to look over your tooth and mouth to ensure the condition is not life-threatening. The Emergency Dentists USA website is provided to you as a portal for information only and should never be used as a substitute for medical advice. If you have a dental emergency and you are unable to get ahold of an emergency dentist, call 911 immediately. Before you visit a new dentist, it is recommended that you verify the dentist’s licenses and credentials prior to receiving dental care. The first place to look for this information is with the California or Santa Clarita dental society. 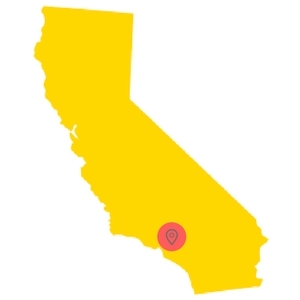 You can also search the local California Department of Consumer Affairs and the Dental Board of California.